Nikita Pearl Waligwa, the Queen of Katwe actress has been diagnosed with a brain tumour. KAMPALA – Nikita Pearl Waligwa, 14, the girl who acted as Gloria in Queen of Katwe has been diagnosed with a brain tumour. 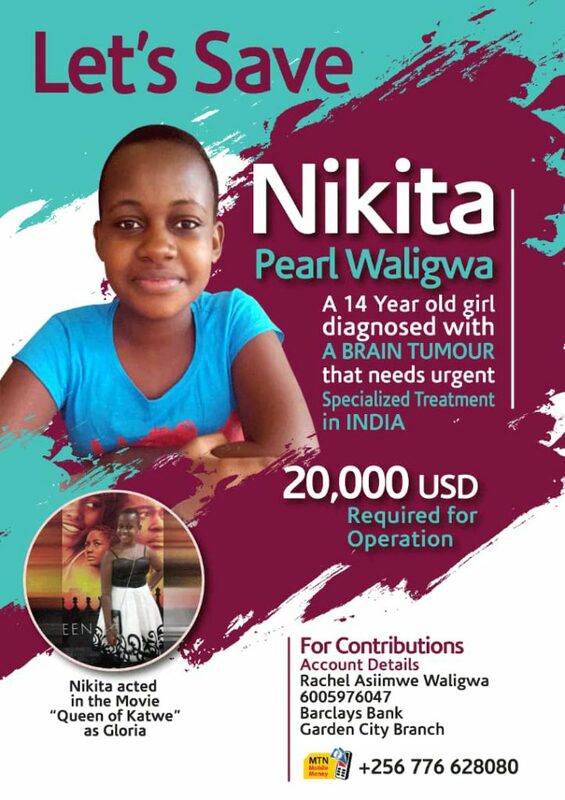 Nikita seeks 20,000USD to have treatment in India and this must be done as soon as possible, according to her mother Rachel Asiimwe Waligwa. Admitted to Platinum Hospital where she is receiving treatment to try and stabilise her condition and also ease the pain, Nikita according to doctors has not been responding to the medication. “The neurosurgeon told me yesterday that we need to act very fast before she becomes unfit to fly or before she loses eyesight because the tumour has become aggressive,” Ms Waligwa said. Nikita was first diagnosed with a brain tumour in 2016. Consequently, she had surgery in April 2016. Shortly after the surgery, Nikita was diagnosed with cancer and she underwent radiotherapy in July 2016. In February 2017, when she went for a review, she was declared cancer free. Rachel also a cancer survivor is optimistic that God will come through for her daughter. The year her daughter was declared cancer-free Rachel was diagnosed with cancer and given two months to live but she survived. “I did not do chemo, I did not do surgery, and my stomach was so huge; it was full of water. I believe my healing was a miracle. I am so full of faith, but when this tumour came back I was so taken aback. You know when you have gone through a tough time and think it is behind you and it comes back…” Nikita’s mother said with optimism. Nikita, a Senior Two student at Gayaza High School, was supposed to report to school on February 4, but she was diagnosed with another brain tumour. “She is in a lot of pain. The brain is swollen and it is exerting a lot of pressure. The head feels heavy, so she always lies down but she can walk,” Waligwa said. Although she missed Primary Six, Nikita insisted on joining Primary Seven and performed highly, joining Gayaza last year. 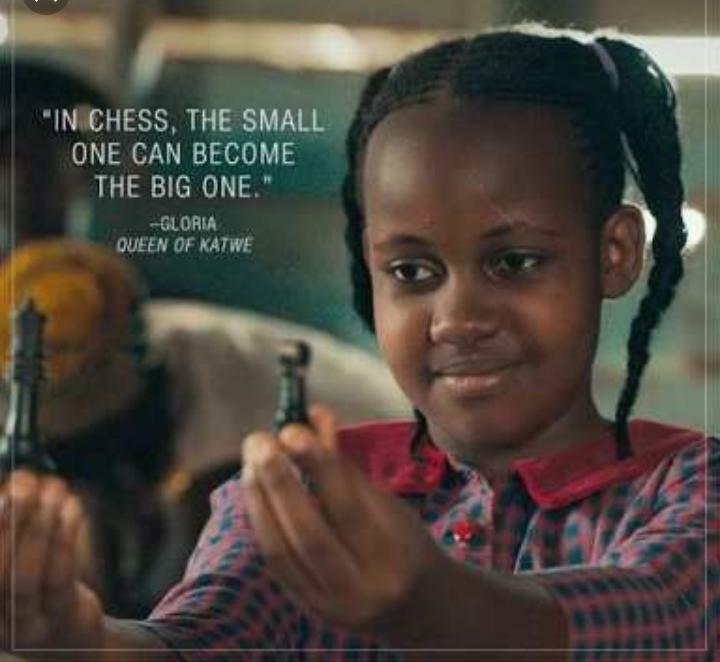 Nikita acted as Gloria in the movie Queen of Katwe that was directed by Nira Maira and starred among others Hollywood star Lupita Nyong’o, Phillip Luswata and Irene Kulabako Kakembo among others. The movie was widely watched on the international scene and Uganda too.